An expert witness duty is to the court and not the client. 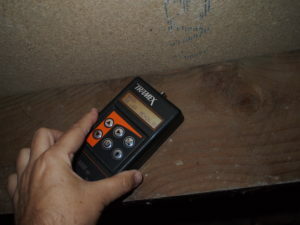 I’ve been doing expert witness work and writing part 35 compliant reports for a number of years now relating to construction defects and disputes between landlord and tenant, the latter cases usually related to damp and mould. However, we’ve had two cases relatively recently that have led me to carefully question any potential case that comes in. When it comes to this work I’ve always limited myself to my particular area of expertise, which broadly speaking is building pathology, however, through the course of doing this work I’ve come to realize that many surveyors are simply expert at being an expert. What do I mean by this?… Quite simply I’ve found that often any expert acting on behalf of the other party often has no expertise in building pathology, rather they have a knowledge and expertise in producing part 35 compliant reports and a knowledge and understanding of the civil procedural rules and often they’ll act in any case as expert witness, irrespective of the matter under dispute. The last time the opposite party insisted on appointing his own surveyor at great expense, the net result was that his surveyor simply indicated to me that he agreed with everything I’d reported and discussed on site. What some clients simply don’t get is the impartiality with which one has to act as an expert witness and on that occasion the other party could have saved himself a great deal of money. I would generally advise all parties to appoint a single joint expert, rather than insisting on their own, because it simplifies and streamlines the process and makes it far more cost effective. But what if the expert favours one party? I live in the real world so I won’t pretend this can never happen, but quite simply it shouldn’t! So long as both parties do their research and jointly agree that the SJE has the relevant expertise and has no conflict of interest then a single joint expert should always be your preferred option. Returning to my earlier point on expert experts, remember to make sure that expert actually has a focussed area of expertise related to the matter in dispute, as opposed to simply understanding court procedure. What does expert witness work involve? What I’ve come to learn over time is that acting as an expert witness is incredibly time consuming. It starts with a desktop review of all relevant paperwork and any relevant findings from that desktop review need writing up. Then of course there’s the site investigation work and whilst you may think that all these cases must be technically complicated, that isn’t the case at all, they have the same frequency of simplicity or complexity as any other case we work on, some cases being so simple that you question how on earth a dispute ever arose. Needless to say, the final reports can be quite lengthy, our reports are generally more than thorough but any expert witness report we produce has to be as detailed and extensive as the facts require it to be; always of course remembering that the courts will be using the final report to enable them to reach a decision. I always retain a view that non-technical legal experts have to understand the technical issues and so reports are always heavily illustrated to facilitate that requirement. Even on production of the report, the work doesn’t necessarily stop there because occasionally the opposing parties will then come back with a series of questions or clarifications required, which have to be answered. On a relatively recent case I was involved in for a client in the northwest, I reviewed the initial evidence informing my client that on paper he didn’t appear to have a strong case. 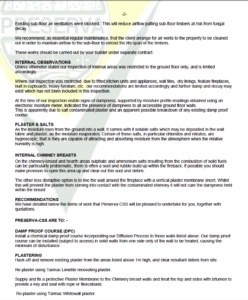 Nevertheless I was appointed and completed a detailed technical report relating to water ingress in my clients garage. His view being that it was caused by the neighboring garage, whilst of course, his neighbor disagreed. 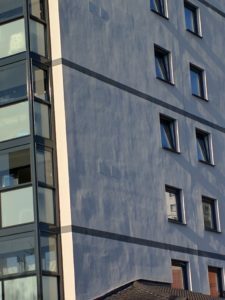 In fact, it was my own clients defective parapet wall that was to blame and the case was proven unequivocally, to the extent of photographing fluorescein dye running in from the parapet wall during a hose test I carried out. Of course I fully expected this because the visual defects were obvious. On completion of the survey I had a conversation with my client and solicitor at the property and I remember my client stating, “so I’ve paid you for nothing then.” Well actually no, I replied, you’ve paid me to correctly diagnose the defects to enable you to cure the water ingress. I could tell my words didn’t hit home but as any surveyor involved in expert witness work will tell you… sometimes it isn’t about the facts, it’s about the people! What subsequently transpired was that over a 4-6 week period I was bullied and cajoled by my clients solicitor to change the contents of my report to indicate that in fact the neighbor was responsible; something which I refused to do. Several months later the client placed a complaint asking for a refund on the survey fee on the basis that it was wrong. This was refused because it was not just factually correct, it was wholly objective and based on proven facts. I was fully confident that no one would counter or overturn the content of that report. We later found out that the client never used the report but in fact made claims to the other parties solicitor that the report wasn’t ready for the court date as we were changing the contents to indicate that the other party was responsible, something we’d flat refused to do. Incredibly the other party settled out of court based on this claim. Something confirmed after a conversation with the opposing solicitor. When my own clients solicitor was made aware that I was aware of this fact, the claim for a refund was dropped, though with further veiled and empty threats that should the decision be overturned then we’d be ‘pursued’, whatever that meant. 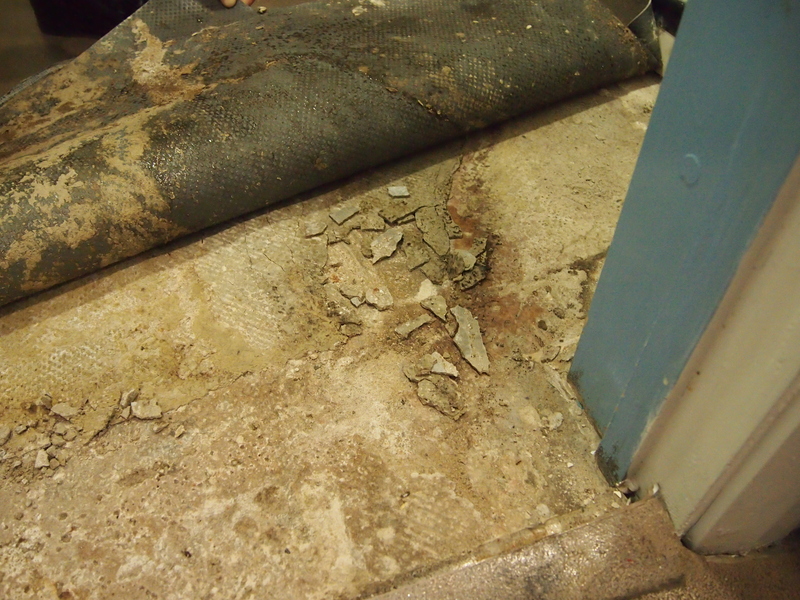 Three years ago we acted on behalf of a contractor in a similar dispute that involved failure of a calcium sulphate floor screed in a children’s nursery in the West Midlands. The client initially describing the finished report as ‘excellent’ but sending it back to us for a complete rewrite several weeks later when senior management realized that our conclusions meant they’d be responsible for tens of thousands of pounds worth of remedial works. Yes, incredibly our report was returned with several sections re-written with a casual comment that we ‘sign off’ on the changes. Again we refused and were left with a final comment that, “you’ll never work for us ever again.’ A decision we’d already made when we were asked to make those changes. Now don’t let either of these examples lead you to believe that we never find facts in favour of our own client when not acting as SJE, because we frequently do, but we find what we find. The moral of both these stories is don’t appoint an expert and expect him to act in your favour! When not acting as single joint expert (SJE) I make a point now of explaining to all clients that the technical facts may not necessarily come out in their favour because as an independent expert, our duty is to the court and not to the client! It may surprise you to learn that there is rarely expert opinion in any of the reports we produce. 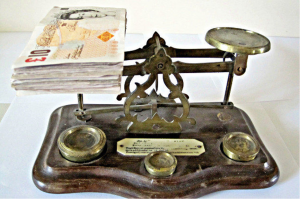 We focus on detailed survey work and collecting objective evidence and therefore all our reports are based on objective facts rather than subjective opinion. Often a huge amount of research goes into linking particular defects with the relevant construction standards so any ‘opinion’ given is based on those standards; if the opposing party disagrees, they are not disagreeing with me, they are disagreeing with recognized British and European standards. 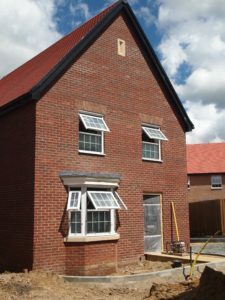 On a recent long running case for a client in the East Midlands, the opposing parties expert disagreed with my view that £40k’s worth of timber windows were not fit for purpose. One of the key technical issues being that there was no gradient to the head of the windowsill; not required said the opposing party. 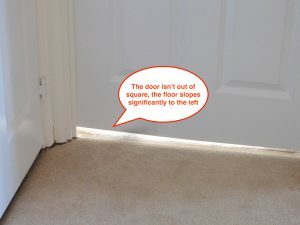 Some research later and I provided the information from BS644:2009 which, states that window sills should be, ‘angled with a slope of not less than one in eight ( 7 degrees). As always, fact and research won the day. In March of this year both myself and Sarah Fox attended the RICS East Midlands CPD conference as guest speakers. I’d not met Sarah at this point and was lucky enough to attend her talk on letters of intent. Quite simply it was possibly the best talk on contract law that I’d ever attended and I was so impressed with Sarah’s knowledge of contract law that I asked if she’d write a guest blog. Borescope used to locate a latent defect. There are two types of defect: patent and latent. Patent defects are defects that are visible or capable of being discovered (observed and observable). Latent defects are not reasonably discoverable and often come to come to light after completion and even after the defects period. the ability to confirm the performance of the works through testing before and after completion (MF/1 clauses 23, 28 and 35). Obvious or ‘patent’ defects should prevent the issue of the certificate of completion. Accordingly, the date of completion, all work should conform to the requirements of the contract. Patent defect found on new development site. Once the defects period has come to an end, the client can bring a claim for breach of contract for any defects which become patent during the limitation period. 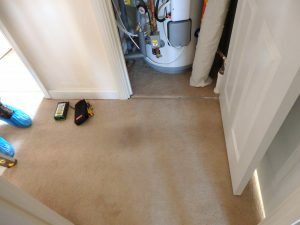 The client’s claim is for damages to put it in the position it would have been in if the contractor had carried out the contract properly. The difficulty is measuring what is an appropriate amount of damages. Article by Harrison Consult quoting Professor Anthony Lavers. Yarmouth v France (1887) 19 QBD 647. See also Tate v Latham  1 QB 502 where a defect meant the absence of an item essential to complete the works – even if the works were operable without the item. There is no power for the contract administrator to instruct when these defects must be rectified as it is for the contractor to plan and perform the works however it chooses. All references in this blog are to JCT 2011 DB unless otherwise noted. 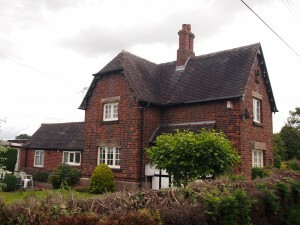 An old traditional property is surely a riskier proposition tor the home buyer than a new build… Isn’t it? 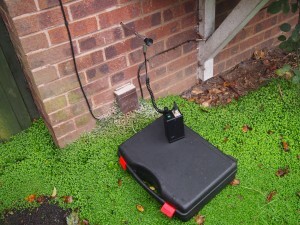 I write this blog very conscious of the fact that I’m in a ‘well you would say that wouldn’t you’ position since I’m advising a course of action that I may potentially profit from, but to be frank this information is only going to come from a surveyor dealing with these issues at the sharp end. 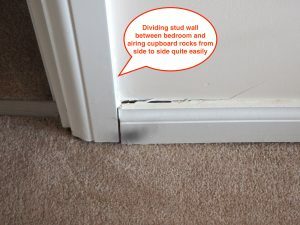 I’ve carried out many detailed snagging surveys on new build properties and I can not remember ever signing off on a property that only had reasonably minor defects. So what is going wrong? Developers self manage their quality control pprocess. The Site managers primary focus is on managing productivity and site efficiencies and you will rarely see them employ a Clerk of Works anymore to oversee quality control. 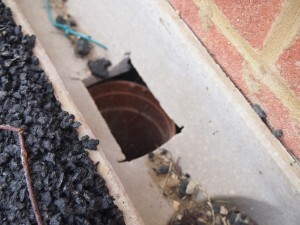 A mistaken belief that either building control or the NHBC are responsible for managing the quality control process. They aren’t. Big developers deliver the larger portion of their works through a wide range of sub-contractors and often very little of the work is completed by in-house staff. Developers then expect sub-contractors to self manage their own quality control process but they’re under the same commercial pressures as the developer and time is money. The lack of time served tradesmen and their subsequent replacement with multi-skilled, jack of all trade, operatives. Delamination of solid floor in 6 year old new build. 5. British workers are increasingly refusing to carry out works on a price and this has resulted in an influx of Eastern European workers on the large development sites and even fundamental communication problems on site. I often find myself on development sites where I genuinely struggle to encounter staff that speak English. 6. The advent of MMC (Modern Methods of Construction) and ‘Lean’ construction principles has resulted in the development of some truly terrible composite products. For example, there are some really shocking composite I-beams on the market that are both cheap and nasty. 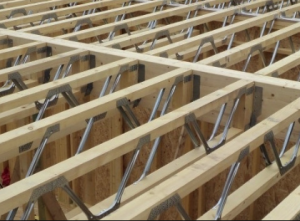 This has resulted in a marked increase in the number of floors that are flexing under load, something that was rarely a problem when standard timber floor joists were used. 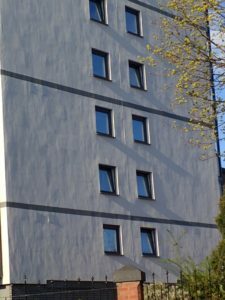 MMC is actually the modern version of non-traditional construction and will have a significantly reduced life span when compared to traditional construction erected during the Georgian or Victorian era. It is being optimistic to expect a 100 year life span from MMC construction and I believe that most will have a significantly shorter lifespan due to poor quality materials and low architectural merit. 7. The move away from traditional skilled building and plumbing techniques. 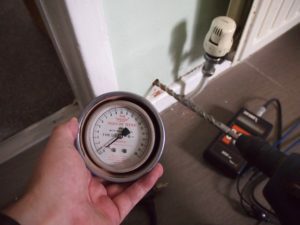 Most central heating is plumbed in on cheap plastic push fit pipework and soldered copper pipes are in decline, you’d be amazed at the number of flooded properties we see due to poor plumbing. Roof leadwork is also being severely de-skilled on new build sites with leadwork sealed in place with mastic rather than being properly installed. Push fit pipework relies on a rubber o-ring to make a seal but how long do you think this o-ring lasts when compared to soldered copper pipework. I’ve always held a view that plastic push fit pipework is OK for Portacabins or other temporary installations but it is now in common use. 8. The lack of a site benchmark test wall. 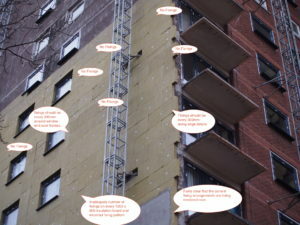 There was a time when a standard test wall was constructed on every site and used to benchmark the site build standard. You rarely see this anymore, though we’d advise that you should use the site show home as your benchmark build standard. They are generally significantly better than anything else constructed on site. 9. New home buyers rarely have a detailed snagging survey carried because why would you need to check build quality on a new home? Possibly even your solicitor informed you that a full survey was not required. This is yet another missed opportunity to challenge the developer on quality control and another factor for increased levels of complacency on site. Incredibly we have even been refused access to site to carry out a quality inspection until the buyer had signed the contract. 10. Many defects are ‘patent’ or immediately obvious, but many are ‘latent’, which means they are hidden. 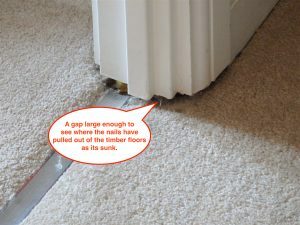 If not picked up during key stages of construction inspection then often they’ll remain hidden until failure occurs. Key construction stages are simply not being checked and signed off as they once were. It has been said that this ‘removal of red tape’ facilitates the construction process but in reality it has meant further erosion of the quality control process, which has facilitated poor quality development. 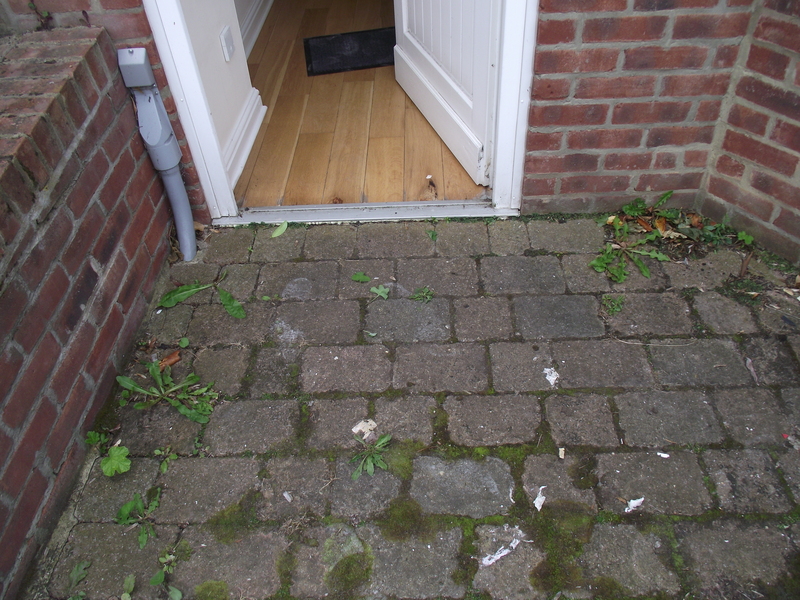 No provision made for surface drainage and rainwater breaching door threshold and entering lounge. The property was 7 years old. Firstly accept that there is nothing that you can do as a potential purchaser of a new home to deal directly with site related issues. There is a National housing shortage and developers generally sell new homes as quickly as they are being built. New housing is what economists call a highly elastic product with demand often exceeding supply. Despite this, it was reported in December 2015 that Britain’s nine biggest housebuilders have land banked 615,152 housing plots that have not yet been developed – four times the total number of homes built in the past year. The top four firms – Berkeley, Barratt, Persimmon and Taylor Wimpey – also hold £947million of cash, according to an investigation by The Guardian. Developers generally like to see a 25% gross profit on development, which compares very favourably to the wider construction industry. Land banking brings to mind a very interesting fact about the diamond trade… Did you know that diamonds are not actually that rare. In fact the market is carefully controlled by DeBeers who hold a massive stock of diamonds and carefully control their limited release into the market place. If Debeers chose to flood the market with their vast stockpile then diamond prices would collapse. It is to my mind a thought provoking comparison. 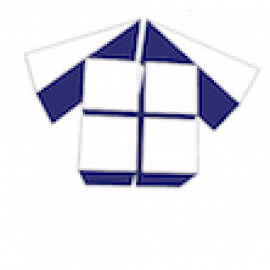 We speak from experience when we say that we have formed a firm opinion that buying a new home is a far riskier proposition than buying an old traditionally constructed property. Of course many buyers of older properties would not consider signing off on what could potentially be their biggest ever purchase without investing in the surety that comes with a detailed home buyers survey. Very few new home buyers make that same investment because they have been lulled into a very false sense of security. Despite this, very few want to go through a process of suing their developer for breach of contract when things go badly wrong and why should they? 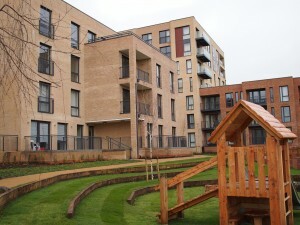 They expect developers to remedy defects in the first two years and the NHBC Guarantee to cover the remaining 8 years. 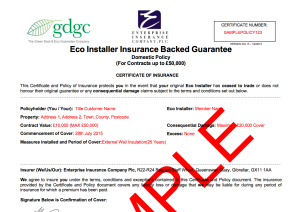 In fact very little is covered by these guarantees and claimants often realise that they are dealing with building guarantee companies with a general predisposition towards claim refusal. I recently enquired about buying a new home from a large National developer and I rang their sales office to discuss my requirements. Hello I said, I’m interested in buying a new home but I have no interest in the NHBC guarantee and in fact I would insist that my contractual arrangement remains with you, the developer. I explained why I had no interest in the NHBC warranty but the sales person was stumped by my enquiry and promised to call me back once they’d looked into the matter. As expected, I never heard from them again. Far too risky for them to assume full responsibility for their own products. In terms of dealing with what developers call ‘legacy’ issues, some are far better than others and again we speak from pragmatic experience. Some developers do have legacy people who will genuinely try to deal with customer complaints and correct your defects. Then there are some who simply ignore customer complaints and hope the customer goes away and sadly many customers do just that out of sheer frustration. As new home buyers we have to learn to be far more careful and far more discerning because development standards have been in decline for quite some time. I recently had a potential client who emailed me a number of pictures of his potential new home, which was under construction. He had numerous concerns about the build quality and asked me for my thoughts on correcting the issues. I agreed that it was shocking and my advice was “since you’ve not signed the contract then walk away now.” I never heard from the chap again because I suspect he did not get the answer he wanted; he was committed to buying it no matter what! Sadly the heart often rules the head when buying a new home. If new home buyers consistently appoint a Chartered professional to carry out a detail snagging survey ahead of signing the contract then build quality would increase dramatically but as potential purchasers we also have to be prepared to put head before heart. Once you have signed the contract, all is not necessarily lost because you have up to 12 years to pursue a claim against the developer for breach of contract. Developers may like to think that risk transfers to insurers like NHBC after two years but this is not necessarily the case. If you have notified your developer of a defect within the first two years then you have between 6 or 12 years to pursue a claim from the date of cause of action. The NHBC would simply to refuse to pay out on any claim which had been notified to the developer within the first two years anyway and would likely refer it back to the developer for resolution. 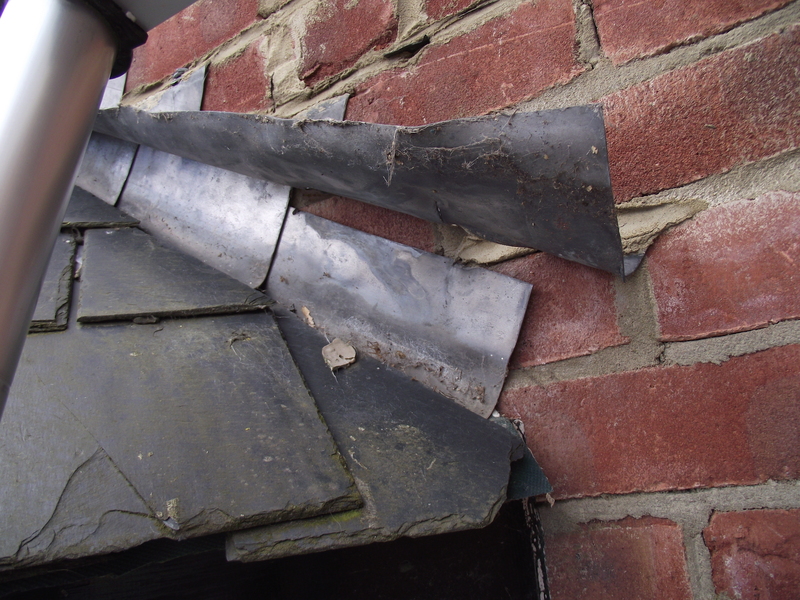 Insurers will not insure against pre-existing defects and why should they. Whatever assumed level of protection you think you have in buying a new home please be forewarned that everything is geared towards providing very little protection. I recently read that you have more consumer rights when buying a tin of baked beans and I have far too many clients for whom we have discovered major defects on their new homes to believe otherwise. If ever there was a case of Caveat Emptor then purchasing a new home is it! What proportion of the claim value should be spent on recovery? 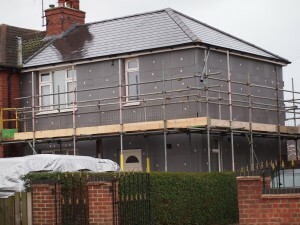 We’ve taken on a lot of construction claims over the last three weeks and obviously our role is to provide claimants with the evidence that can be used to pursue a claim against their builder. Normally that entails creating a detailed cost and defect schedule since the civil courts like the defendant to be made aware of the exact nature and value of your claim. 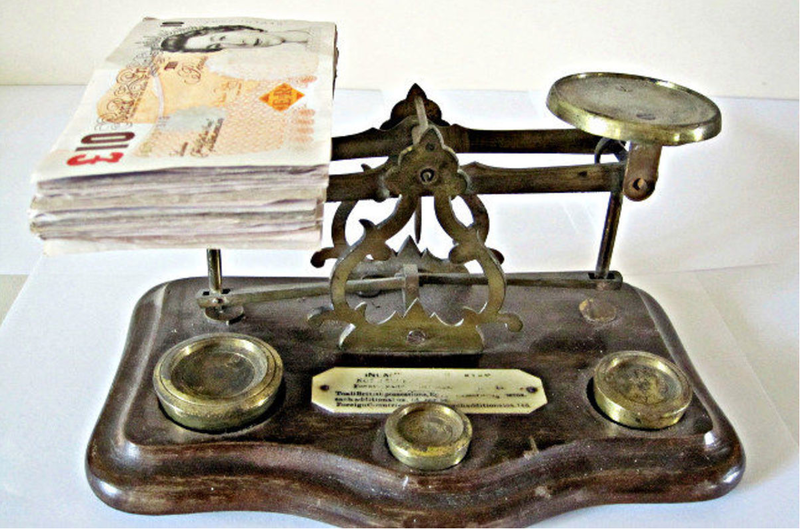 However, during initial discussions with our clients we would always advise them to keep costs ‘proportionate’ since you are unlikely to recover costs that the court sees as disproportionate, but what exactly does ‘proportionate’ mean? Before we get to that point we would make a simple but important observation… A number of years back I required a solicitor for a non-construction related matter and was interested to note that before they accepted me as a client they had me credit checked to ensure that they managed any risk with regard to potential non-payment of my invoice. Makes perfect sense doesn’t it? Similarly we would advise that the first course of action for anyone considering a claim against their construction company is that you have them credit checked. I recently advised a client of this and we found out very quickly that the potential defendant was potless. Without this simple check, many thousands of pounds may have been spent pursuing a claim that in all likelihood was never going to be recovered. Isn’t it ironic that a number of law firms have potential clients credit checked but fail to offer the same advice to that same client when considering potential claims against their constructor. Arming yourself with this information instantly allows you to make a more informed tactical decision as to how you pursue your claim. Moreover, once the value of the claim is fully understood and you’ve established legal liability, if you bring a claim and succeed, you can then place a charge on any unencumbered assets, until the debt is satisfied. “This area of the law has changed since April 2013 when the Civil Procedure Rules (“CPR”) changed and solicitors and claimants are still finding their feet. Presently there is little actual guidance as to how the test will operate in practice and case law will have to be developed in relation to this. However, in the cases that have offered guidance the courts have made clear that they expect parties to be sensible and compromise on small differences. If they do not they will not recover their costs of doing so. If the other party offers a compromise and it is refused, then even if the issue is won on liability you will probably end up paying their costs on the issues offered for compromise. The only real steer I can give you is if you are paying more in costs against an item of claim than you are claiming, this is likely to be seen as disproportionate. On those items suggest a reasonable compromise on a “without prejudice save as to costs” basis and at least then you can show the court you have tried and that provides your best chance of recovery. As you’ll see, there is no simple answer to this question and we have entered an area of law that has not yet been fully tested. The key piece of advice that we would take from this is that you put consideration of costs at the heart of any decision to pursue civil litigation and as always, try everything reasonably possible to resolve matters outside the civil courts. Thankfully, that is precisely what happens with the majority of cases we take on.